Hand made to order, and hand painted to look like a real car! 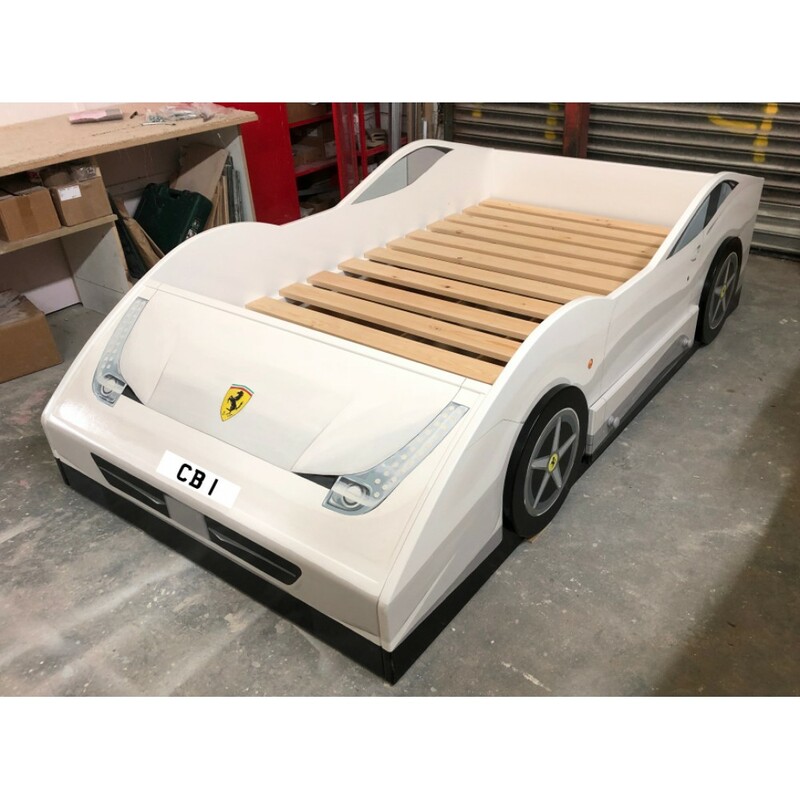 White Ferrari bed, with a storage drawer each side for tools etc. Bed shown is a small double so mummy and daddy can get in for a cuddle! Will not break! Could also be a red Ferrari!! Bespoke, to order. Exc. mattress. 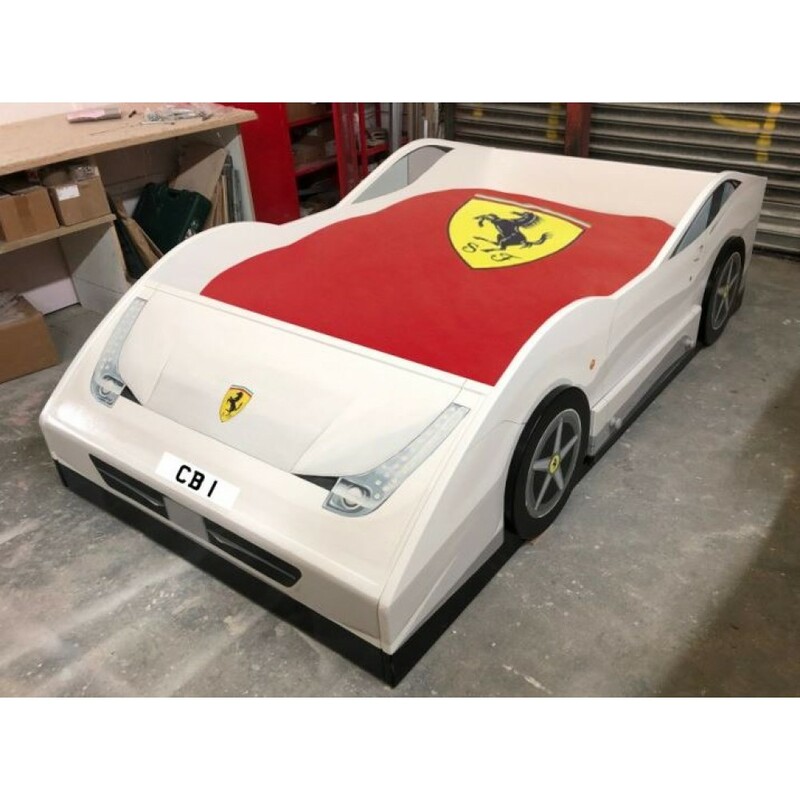 Bedding not included! !